RV Suspension Help | SuperSprings® International, Inc.
Background Photo: Courtesy of Winnebago Industries, Inc. Unauthorized use not permitted. 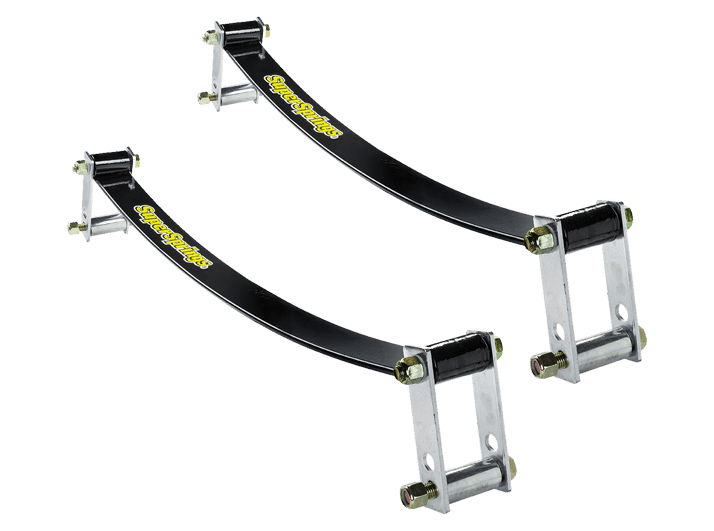 Are a patented suspension product designed to enhance load carrying capacity, stabilize sway, and improve overall driver control and ride comfort. They are maintenance-free, do not leak air, and do not require airlines or compressors. SumoSprings® are manufactured in a variety of heights, diameters and densities to support multiple front and rear applications. 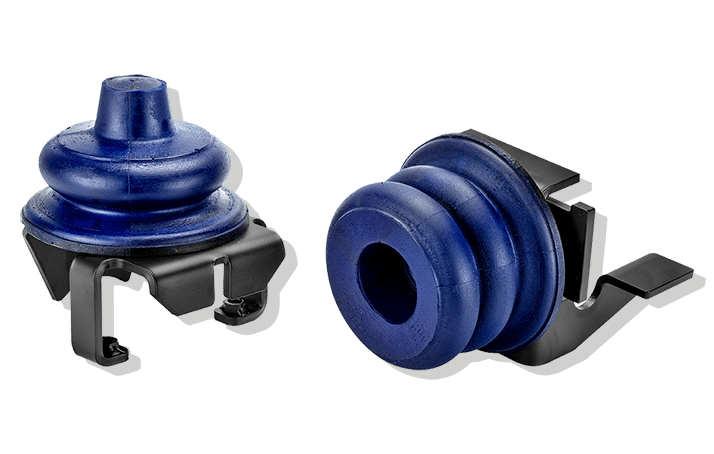 They are manufactured from proprietary closed-cell micro-cellular urethane providing a smooth and progressive spring rate. RVs are known to ride rough in poor road conditions. They bounce, hop, sway, and shake as they travel down the road. This makes for an uncomfortable – sometimes scary – drive and causes excessive wear and tear to the RV, its components, as well as contents. These vibrations affect all of the RV components: tires, suspension, brakes, furniture, hinges, and more. SumoSprings dampen these vibrations and reduce the overall amount of wear and tear. By reducing overall wear and tear, SumoSprings increase the life of each component of the RV. This increase means reduced costs on maintenance and replacement parts resulting in a lower total cost of ownership. SumoSprings Rebel and Maxim kits are all simple bolt-on installations, similar to an air bag installation. The difference is the time/cost saved from not having to install valves, hoses, or compressors required with air bag installations. SumoSprings Solo kits are also simple installations; some kits do not require hardware, they are plug-and-play! Installation times range from 15 minutes to an hour. Once installed, SumoSprings require no maintenance. Would you like a maintenance-free airbag that does not leak? 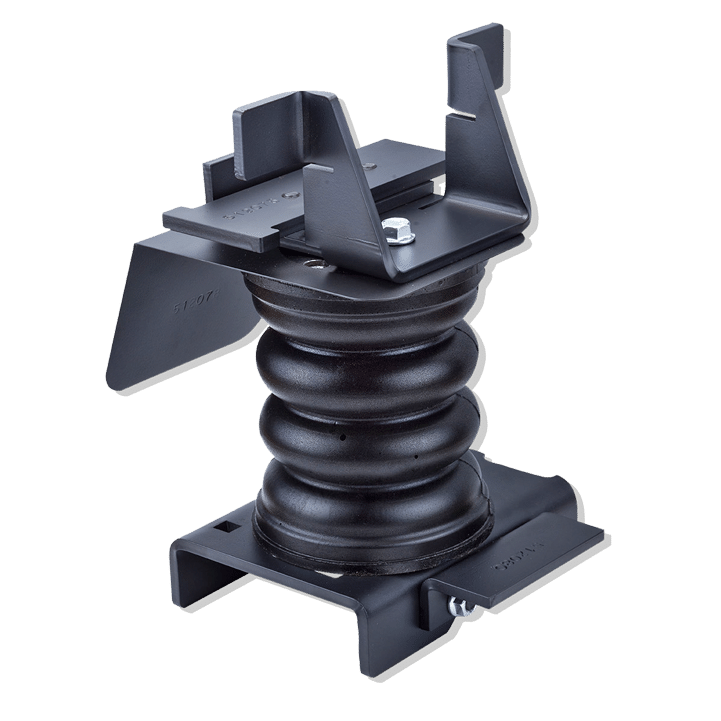 SumoSprings provide users load support using an air spring with a progressive spring rate.The progressive property of the spring means you get support when you need it; more support when the spring is under more load. SumoSprings assist to reduce side-to-side body roll, resulting in a more stable, safer driving experience. SumoSprings increase your vehicle’s ride comfort due to their superior damping properties (they absorb and dissipate shock and energy). They require zero maintenance and will never leak. SumoSprings® are manufactured in a variety of heights, diameters and densities to support multiple front and rear applications. Utilize the same micro-cellular air springs as SumoSprings. They mount above trailer leaf spring assemblies and create a cushion between the axle and trailer frame. Trailer SumoSprings reduce wear and tear on body-frames, windows, doors, closets, mounted TV’s, and other components by minimizing bounce, hop, and sway associated with most towable RV’s. Reduced sway and bounce in the trailer results in increased driver control, ride comfort, reduced maintenance costs, and reduced overall cost of trailer ownership. Improve the load leveling ability of original equipment front and rear coil springs. 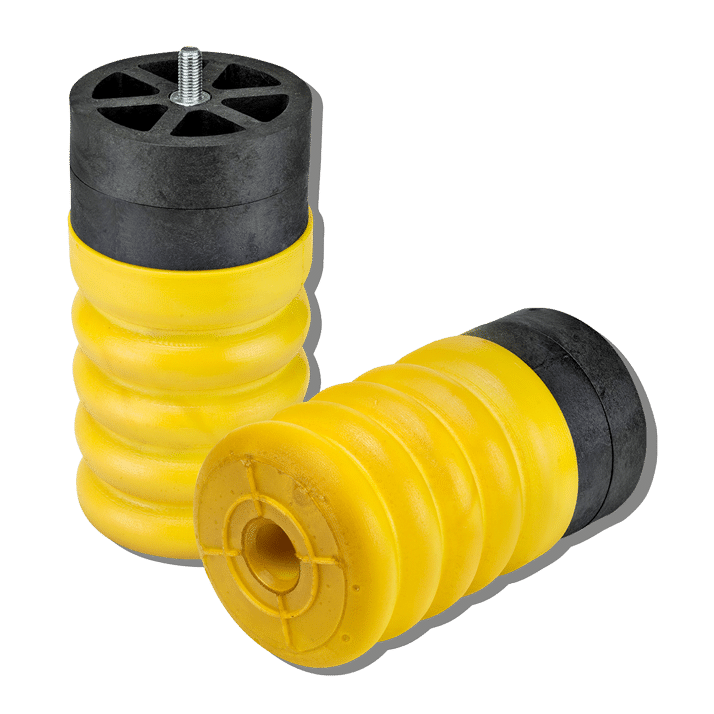 Manufactured from micro-cellular urethane, the material’s progressive spring rate creates a cushion effect, enhancing capacity and ride comfort. They install by simply being slid between the turns of the coil spring. Applications include: sedans, minivans, trucks, and more. What’s up with the colors? SumoSprings’ colors identify their density. They come in three different densities. Captures more air in the millions of micro-cellular bubbles. Balances the amount of urethane and air bubbles. Traps a smaller amount of air in the patented micro-cellular urethane. I spent a lot of money on this coach, shouldn’t it have great suspension? RV manufacturers tend to max out the GVWR of the vehicle in the quest for the most luxurious coach. Once you add cargo, water… etc. this can detract from ride control and comfort. SumoSprings help limit this by enhancing your suspension system. Will SumoSprings lift my coach? SumoSprings are not a lift kit and are not designed to lift your coach. However, most RVs have a lot of weight on them, causing them to unknowingly (in some cases, obviously) sag. Some owners reported a 2″ lift in their Class B vans after installing SumoSprings. It is not a 2” lift the SumoSprings induced, it is actually 2” of sag the SumoSprings eliminated. This helps level your coach. Regularly towing Heavy loads? SuperSprings® can help. 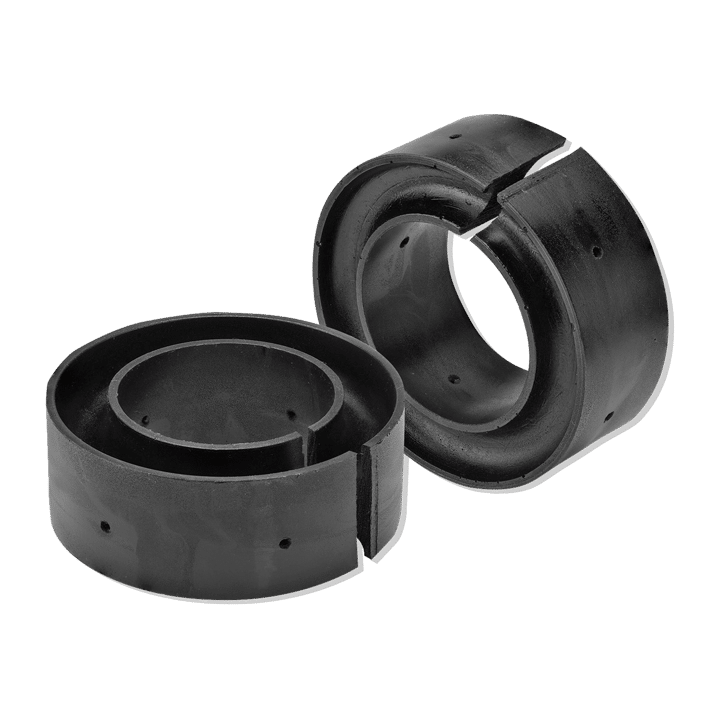 SuperSprings and SumoSprings both help reduce sag and sway, and stabilize loaded vehicles, particularly during braking and turning. SuperSprings are made from the highest grade American Steel. SuperSprings will work to help level and stabilize heavy and/or constant loads. SuperSprings remedy unique scenarios such as a Class A Motorhome leaning to one side from a heavy slide. 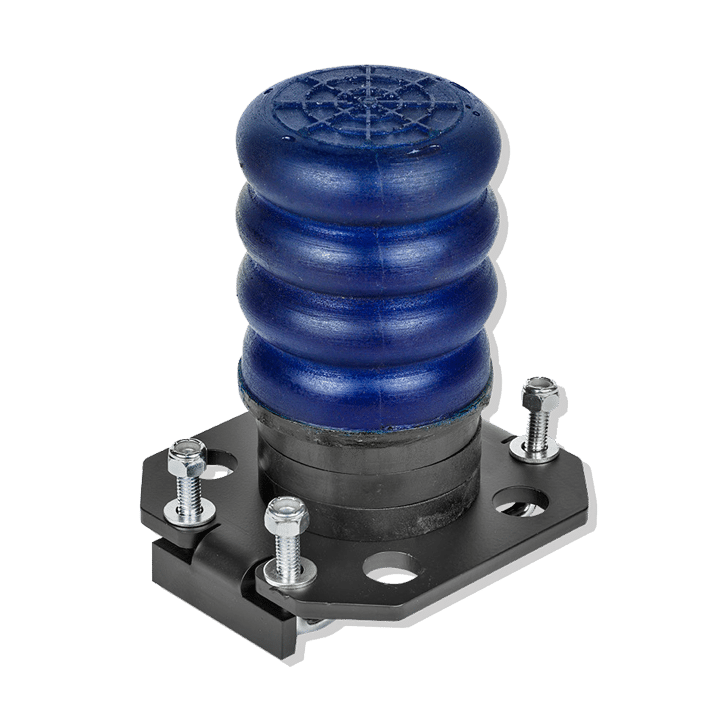 SuperSprings are also options for constant load pickup truck applications with heavy truck campers and fifth wheel trailers.